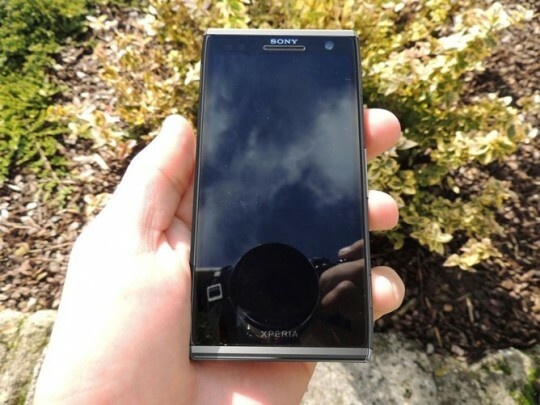 Sony Odin Pictures Leak Online; Is it sexier than the Samsung Galaxy Note 2? The phablet world is just about to get a little more exciting — we’ve got images of what is rumored to be the Sony Odin, the Japane’s company’s 5-inch, 1080p challenger to the Samsung Galaxy Note 2 for the phone/tablet hybrid crown. There’s not a lot to go on right now in terms of official specs but the Sony Odin will supposedly have a full HD display and the 5-inch version of the device is rumored to have a resolution of 1920 x 1080 at 441 ppi, higher than the iPhone 5’s 326 ppi. It will also have a 1.5 GHz Snapdragon S4 Pro quad-core processor and 2 GB of RAM. Specs-wise, it sounds a lot like the recently unveiled HTC J Butterflythat’s headed to the Japanese market. As with all leaks, we were reading this with one eyebrow raised but everything seems legit at first glance. Android Police did a little investigating though and found out that the picture was opened several times on Photoshop. And while that doesn’t necessarily mean that changes were done, it does make us a little bit more skeptical. What do you think of the Sony Odin? Does Sony have a potential Samsung Galaxy Note 2 killer in their hands? Let us know your thoughts in the comments below!